In order to surging a big number of audience, business owners try to be present everywhere the audience has a presence and everywhere they browse pages online. Building a captivating website and active appearance on social media profiles or blogs are the best practices, but not the sign of everything done. You must have an outlook for the audience so that they can look at your business with your views. 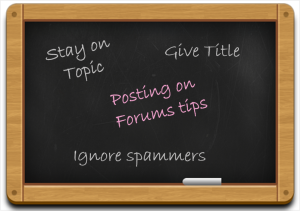 To attain the audience’s attention, you need to participate in their discussion and post in forums. Before directly starting with your post, read rules and guidelines you should keep in mind. 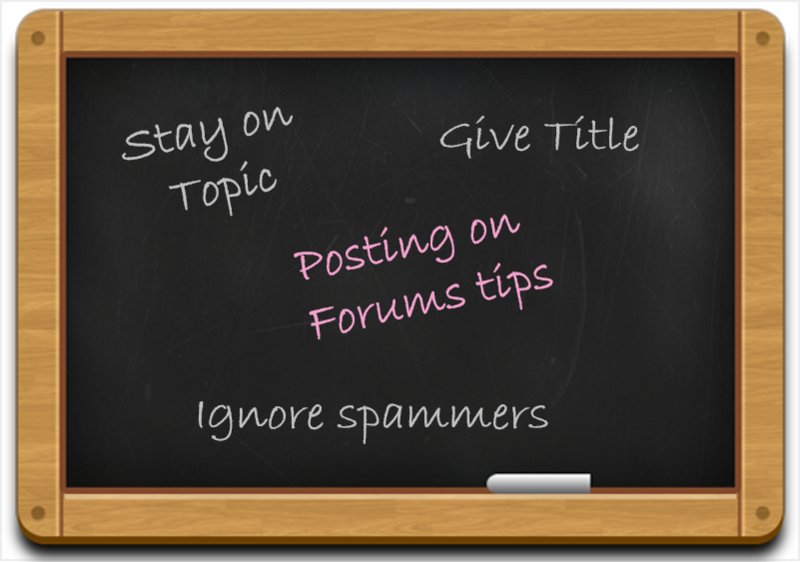 Search the posts on the forum to see if your topic is already mentioned. Use a meaningful title that gives your post a professional look. Participate actively with the discussions, do not use it to promote your products or services. Write concisely, do not ramble. Do not reply to spammers on forums. If required, respond them personally. Use a link for more information, do not submit the posts attached with large files. Links should be less, one or two per post. Do not post useless responses such as ‘lol’ or ‘cool.’ Respond only when you have something to contribute. Do not post private information. Posts or responses should not contain personal, identifiable information or content embarrassing to others. Do not quote more from previous post when replying. Do not use words like ‘urgent’ or ‘important’ in the subject line. Do not interrupt the topic of discussion. Besides these 10 tips, you should know that where to post and when to post. Do not post unnecessarily. Use backlinks smartly because this is the key point that increases number of visitors to your blog or website and chances for them to become a customers. Get traffic right through forums and discussions. Choose the right forums for your business and take part such that it influences a huge audience. Next How Pay Per Click Advertising Helps Your Business Improve Search Engine Visibility?